Colt Eros a stallion for the future, bred for jumping - eventing, show jumping and sport horse events. Place cursor on pedigree for larger image. Eros Online pedigree at Horse Telex Pedigree. Click for video of Diarado - Holstein Supreme Champion. Diarado is a 169 cm Holstein Warmblood born in 2005. This stallion has an impressive jumping technique and is a dynamic mover with excellent conformation. His score in the 70 day stallion test was the highest by far, confirming all high expectations of him. he had a sensational overall score of 150.57 which put him well ahead of the other stallions being tested with him. he achieved 9.5 for ride-ability under an unfamiliar rider and 9.73 for jumping ability around a course. Diarado scored a perfect 10.0 for free jumping. He scored 9.0s one for his outstanding canter. Quote Diarado! A stallion that we cannot acclaim highly enough Diarado the "Holsteinse Siegerhengst" is the Stallion that we all want to see absolutely beautiful, fantastic movements, jumps superbly and comes out of a super damline. He proved What a King he is with his victorious, dream performance test scores of 150.57. His jumping index of 144.01 won him his first place and his dressage index of 138.42 won him second place. Two of the judges awarded him perfect 10's for free jumping. His dam Roxette 1 also was awarded a 10 for free jumping in her mare test. 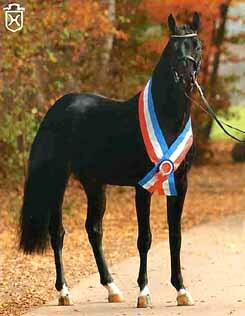 This jet black gem of a stallion's next achievement was a bronze medal at the Bundeschampionat for five year old show jumping horses, He won the final qualifier with a score of 9.3 and followed up with two 9.0s in the two final rounds which earned him and rider Bastian Freese the Bronze medal. His Sire, Diamant de Semilly won team gold at the World Championships in Jerez and team silver one year later at the European Championship. 2002 Team World Champion and 9th in individual, Champion of France 2002, team silver medal at the 2003 European Championships. His great potential was revealed in 1999 when he was France's 1st Category Champion at the jumping criterium. Regularly ranked in international classes since (1st 1999 Saint-Lô CSIB, winner of the Stallion World Championship in 1999 Caen CSIA, preselected for the Sydney Olympic Games 2000, 4th in Lummen and Modena Nations Cups 2001, 8th Munchen and Saint-Lô CSIA, etc. ), he arrived at the top level in 2002 : World Champion with the French team (9th in the individual ranking) & France Champion after a great show jumping season (11 clear rounds over 12 in Nations Cups within Rome, Aachen, Donaueschingen). He confirmed his abilities in 2003 by winning team silver medal at the European Championships in Donaueschigen. 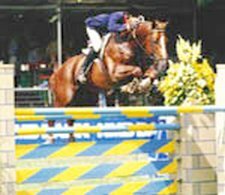 In 2004, after a good start (winner of Auvers GP CSI), he had been short listed for Athens Olympic Games, but because of a tendonitis he had to stop competing for a while. 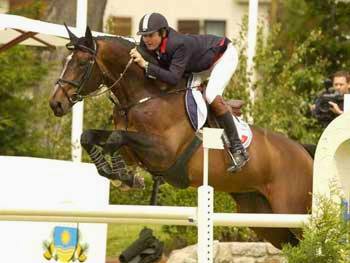 He ended successfully the 2005 show jumping season winning the two GP CSI*** of Saint-Lô de Caen. 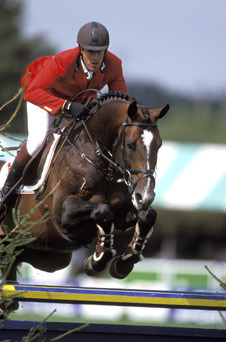 His Grand-sire, Le Tot de Semilly was also successful in International show jumping and is considered to be one the best producers of show jumping horses in France. Le Tot de Semilly was the 18th most popular stallion in France, while his son, Diamant de Semilly, took 9th place with 139. Son Diamant de Sémilly made the 4, 5 & 6 year old finals at Fontainebleau before going on to a star studded international career, that included playing a key role in the gold medal French team at the WEG in Jerez. Other international competitors by Le Tot de Semilly, include Michael Whitaker’s Ashley, Fabrice Dumartin’s Coppelia de lÉpine, Rodrigo Pessoa’s Gandini Fidji du Fleury. Bolero de Brécey HN, Héloise de Semilly (represented Australia with Jeff Bloomfield at Jerez), Dohitzun Guernica, Étoile du Château, Fétiche du Pas, Fidélio de Ravel and Elkintot (who represented Italy at Jerez). Diarado's dam line include a whole series of Holstein bred champions. She was sired by the excellent stallion Corrado* out of a Contender x Lord Ramiro mare. The descendants of the successful Holstein dam line 318 d2 include international show jumpers Cabrio and Morales and numerous approved stallions such as Corofino I and II, Coriano, Crawford, Chello I and II and not forgetting the stallion performance test champion Camiros. *Corrado I won the Grand Prix of Leeuwarden in 1993, and was second in the Nations Cup at La Baule. In 1994, Corrado won the World Cup Qualifier at Dortmund and finished third in the Nations Cup at Aachen. He also won the German Championship that year. In 1996, he won the Danish World Cup Qualifier at Aarhus, and the Grand Prix of Neumünster and Kiel. As a sire, Corrado was an instant success. 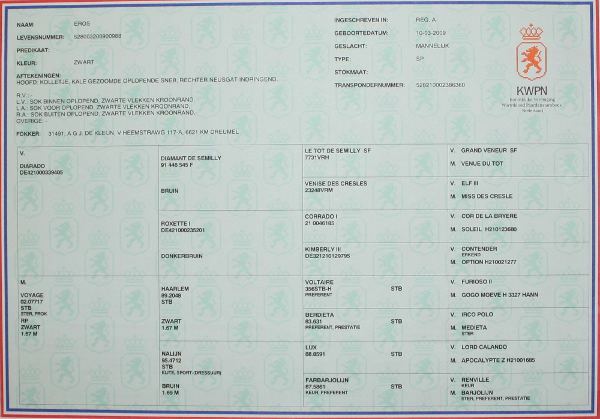 His international offspring include: Classic H with Helena Persson, Cher with Piet Raymakers, Corrada with Peter Charles, Cosmina with Markus Fuchs, Cosmos Star with Evelyne Blaton, Caramia with Espen Johannsen, Canyon with Tim Grubb, Think Twice with Leopold van Asten, and Cabrio with Felix and Toni Hassman. Perhaps his most spectacular son is the grey stallion, Clinton, who was individually 4th at the Olympic Games in Athens, and second behind Shutterfly at Aachen in 2005. EROS'S Grand Dam NALIJN herself an Elite, Sport-(Dressurr) is by Lux Z The worlds Leading Showjumping sire. His sire, Lord Calando (Lord), is just like the world-famous jumping stallion Carthago Z (Capital 1), bred out of Perra (Calando 1). 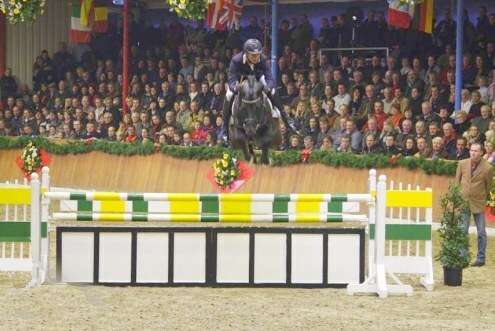 As well as being Lux Z 's sire, Lord Calando is the sire of many international showjumping horses such as; Locanda (Marcus Ehning) and Lukas (Emma Wester). The Hanoverian stallion Lux Z was bred at Zangersheide Stud Farm out of the Holstein mare Apocalypte Z (Ahorn Z), a product of lineage 2543. This famous Holstein family was also responsibble for the licensed stallions Lavallo, Lasino and Lone Star.